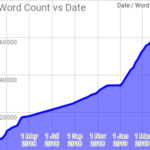 Posted on April 10, 2015 October 31, 2016 in haha!, reviews. 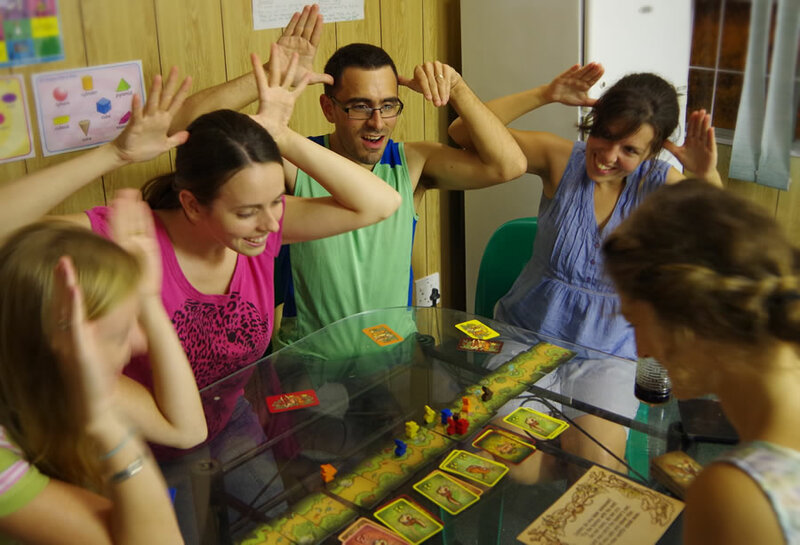 Bunny Bunny Moose Moose is a party game from the team at Czech Games Edition. It involves the basic premise of sitting round a table putting your hands to your head, pretending to be a moose or a rabbit. By doing this you achieve two things: scoring points, and looking ridiculous. The mechanics are a) simple and b) ridiculous. You use your hands on the side (or back) of your head to pretend to be a Moose, or a Bunny. 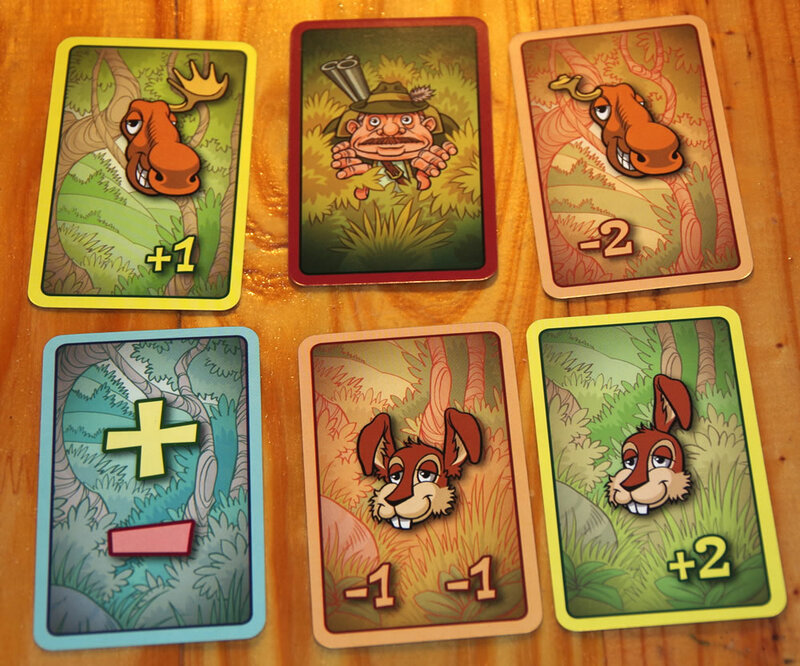 Cards in front of the players steadily change, and you need to get the optimum arrangement of ears/antlers in order to get the most points at the moment the Hunter appears. There are a range of cards, each with different values. In the picture below, you can see examples of these. Top left – you get an extra point if you are a moose with left antler open and up. Top right – you lose two points if you have any type of upwards antler on the right. Bottom right – you get two points for a left bent ear at the back of your head. Bottom middle – lose a point for each bent ear on the side of your head. Bottom left – everything above is reversed – so you gain points for the negative things, and lose them for the positive things. Top middle – the Hunter! When this appears, the round ends. Sound complex? Its not too tricky, but the problem is that the cards change every few seconds, and its very easy to get confused: the rabbit ears especially look very similar, and, with the cards above, the difference between a Bunny ear on the side and back is worth either -1 or +2 points: a big change! This is what people look like during a game. I think its immediately obvious why this game is a great way to spend half an hour. 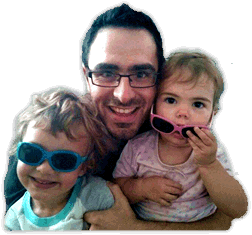 There are even some additional optional rules to make things even harder/funnier – for example one involves sticking your tongue out alongside everything else: added stupid-looking complexity coupled with an already riotous dynamic is a recipe for success.. Sometimes, in a game, there are specific mechanics that jump out at you and say “Look at me, I’m a creative solution to a well known problem!” BBMM was designed by Vlaada Chvátil, creator of legendary games Space Alert and Galaxy Trucker: both great games, with totally unique mechanics, so I hoped for similar creative flourishes here. I was not disappointed. In BBMM, the scoring track has a real splash of genius to it. Each player has two pieces – a Bunny and a Moose – and their piece is only advanced when you score points as the respective animal. The winner, at the end of the game, is the player who has both animals least behind. For example, if I’ve won loads of points as the Bunny, but none as the Moose, even though I’m very far ahead with one animal, I’ll still lose to anyone who has played a more evenly spread game. This means that throughout the game, alongside frantically making stupid hand signals, you are also worrying about which animal you need points with, and how much everyone else is scoring with each type of beast themselves. It makes for a fun, tangled game, in which it is very difficult for any one player to jump unassailably into the lead. BBMM is easy to learn. Maybe 3 minutes of explanation, and a new player can jump into their first round, picking up the rest as they go along. The game is rated for ages 9+, which seems about right. That said, its possible to simplify the rules for the younger players, and have them compete happily with adults playing the full rules: with my four year old, we let him pretend to be whichever animal has the most cards on the table – he generally manages to beat me. The rule book itself is not the simplest read. 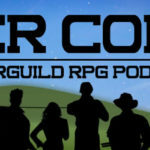 Given that I am able to explain the whole game to a newbie in a few minutes, we definitely struggled to pick the game up so rapidly in our first play. I can’t point to usual problems – a game this simple needs no index, for example – but the rules could definitely manage to explain the gameplay in a more intuitive way. Frankly, even saying the name “Bunny Bunny Moose Moose” gets everyone in the mood for an enjoyable, silly game. Its a party game: quick to pick up, quick to play, and it doesn’t matter too much who wins. If you are super competitive person, you might initially get frustrated about what seems like a large random element – but this actually remains a game where skill can play more of a role than luck – if you wanted to put that much time into it. 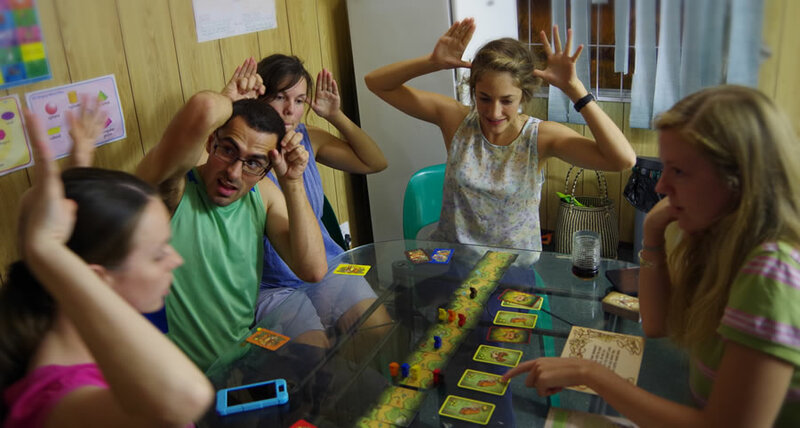 That said, most people will not play this game in order to hone their animal impersonation skills, or to prove their mastery of strategic hand eye co-ordination – and rightly so. This is a fun, quick game to pull out at a party, or maybe to break the ice at the beginning of an evening before starting something a little more intense. And its great at that. 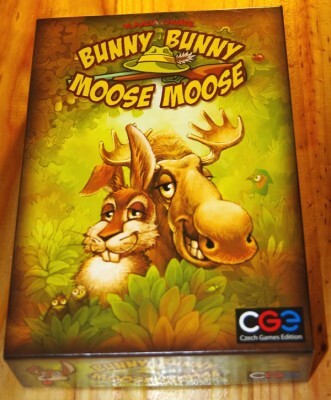 Posted in haha!, reviews.Tagged board games, Bunny, Bunny Bunny Moose Moose, card game, Moose.